Join us for a special reception and artist's talk as we celebrate a new photography exhibit, "Propitious Wind and Rain: Photographs from Kunshan" by Tom Rankin. The exhibit features photographs made in and around Kunshan, China, by Tom Rankin, Professor of the Practice in the Department of Art, Art History & Visual Studies and Director of the MFA in Experimental and Documentary Arts Program. 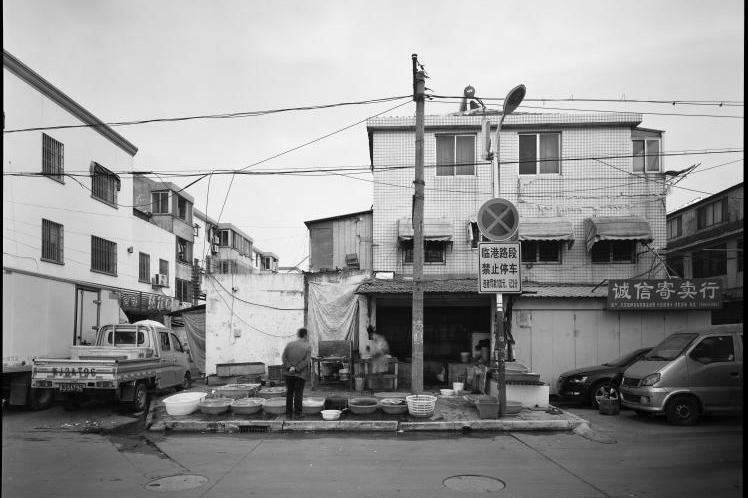 While teaching documentary film at Duke Kunshan University in fall 2016, Rankin also took time to explore Kunshan with his 8x10 view camera in tow. His photographs capture the landscape surrounding the new university, particularly "the ways in which culture, business, and daily life are perpetually in negotiation with land and water." The exhibit is on display in the Rubenstein Library Photography Gallery through February 17, 2019.